As the old real estate saw goes, location is everything. And sometimes, one's 500-year-old mansion is simply in the wrong spot ... and one must move said mansion, brick-by-brick, to a more desirable address 70 miles away. Wealthy antiquarian Walter Thornton-Smith wanted to uproot the mansion from the banks of the river Colne near Chelmsford and re-build it in Kingston-on-Thames on the other side of London. 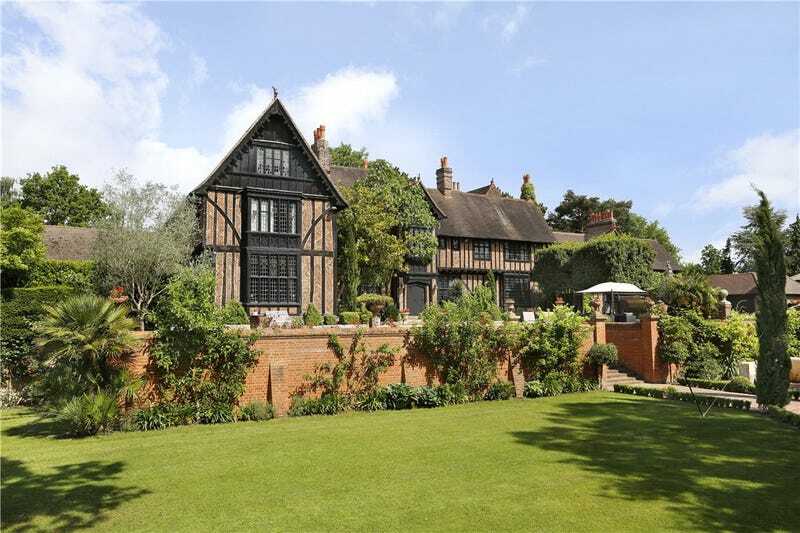 He had the house, Cedar Court, which was originally built in 1483, moved brick by brick to Kingston where it was put back together again on a piece of land he'd purchased near Coombe Hill golf course. The 12 bedroom, nine bathroom house had seen many changed over the centuries, even serving as a pub and a furniture store before he bought it for £350 in 1910 and then spent £30,000 dismantling and re-building it in Kingston by 1912. Every part of the building was sectioned out and numbered so that it could be stuck back together again exactly as it was after its trip across the capital. Via Curbed. Top image via Knight Frank (way more images at the link).